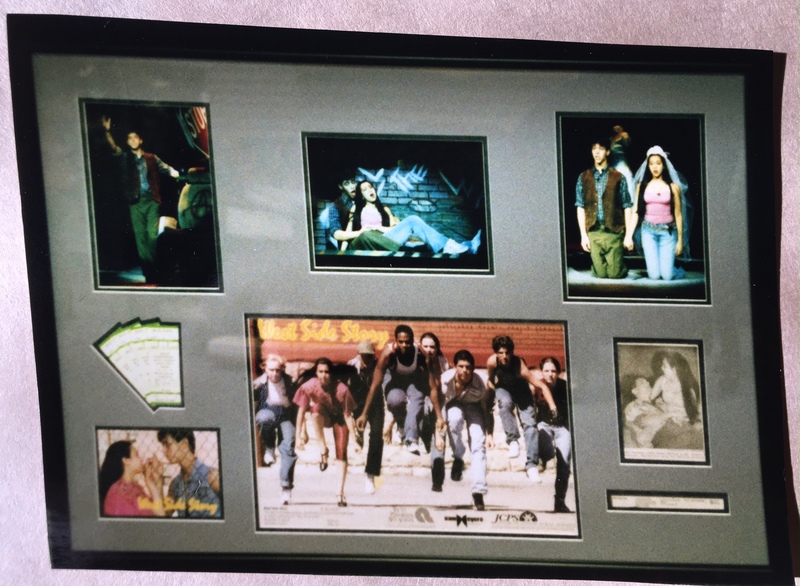 These were all framed by Darlene from 1995-2001 at The Art of Framing. This was a time before computerized mat cutters so all were done on a manual mat cutter. Also these photos were taken on a camera with film. It was a time when you wouldn’t know how good a photo you had of your work until you picked it up at the photo lab. 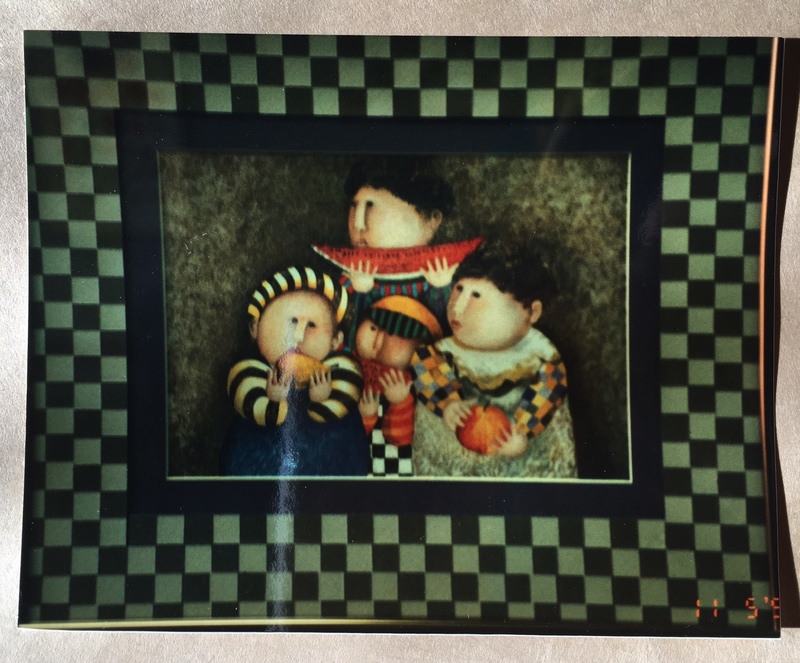 This was done by Darlene in the late 90’s at The Art of Framing before she sold. The customer has been to Africa and bought a Batik. This mat was cut manually(without computerized mat cutter). The pictures all around are of the safari they went on. The bottom mat was a cork finish that looked like an animal print. This piece is memories from attending a World Cup soccer game in Phoenix Az. 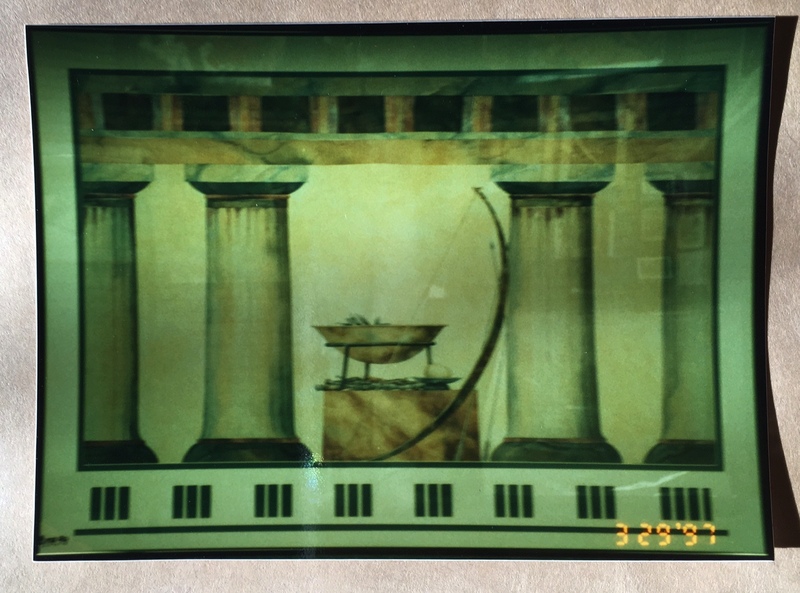 I created this piece in the late 90’s at The Art of Framing. The mat was cut manually meaning without a computerized mat cutter. The soldier carried these photo’s of his sweetheart while he was serving in WWll. It also includes his military papers. 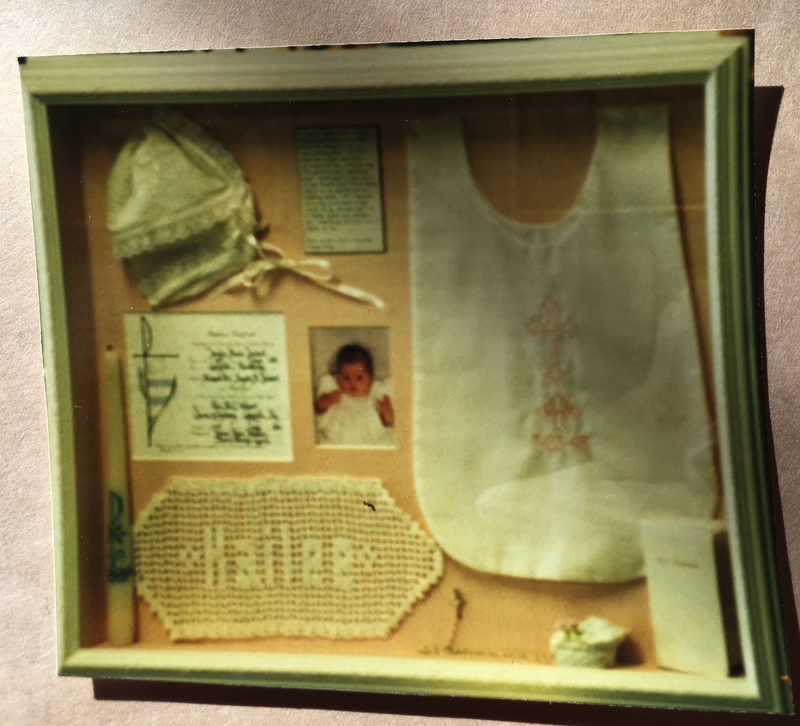 I am always honored to create family heirlooms that will last for generations to come. Thanks for your service! 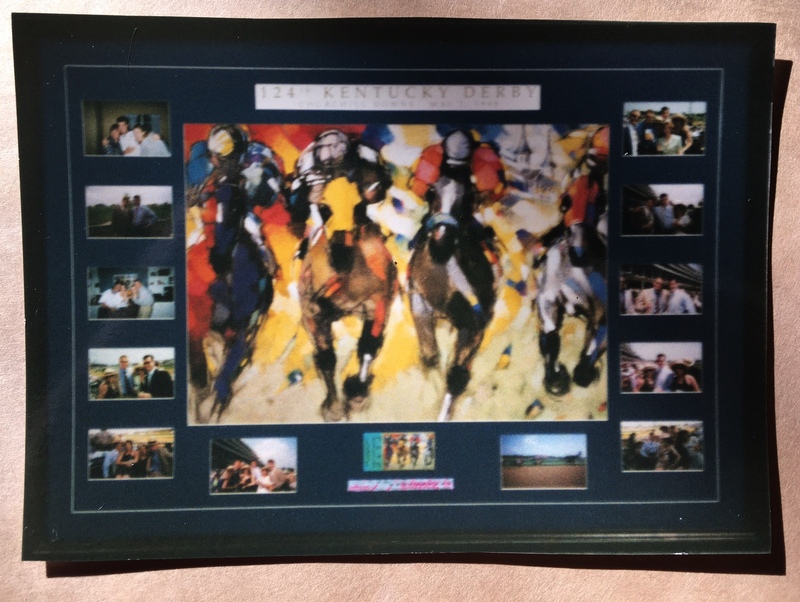 Derby memories, poster photos from the day. Wristband and ticket. 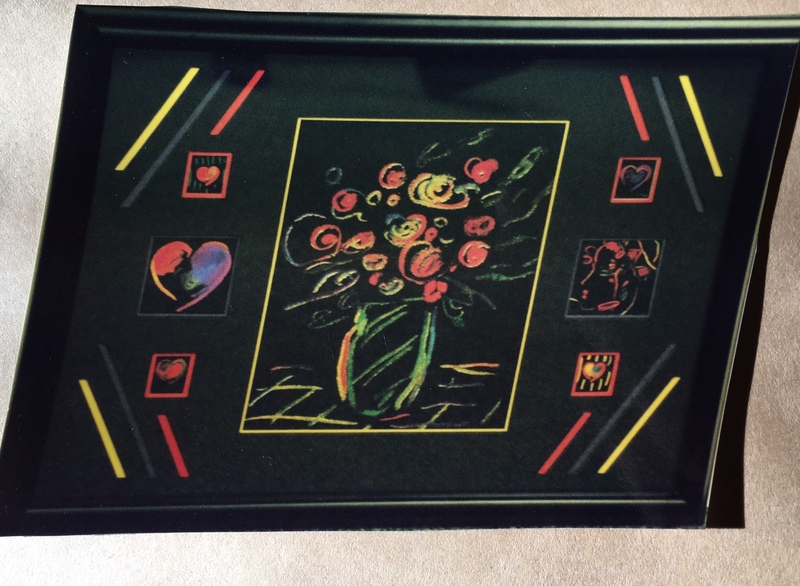 Special cuts in the mat make this a one of a kind piece. Memories of a high school play beautifully displayed. various Peter Max pictures from a magazine all brought together in one frame. Had fun creating this checker board mat out of mat board. Had someone show me how, so I had to give it a try, success! 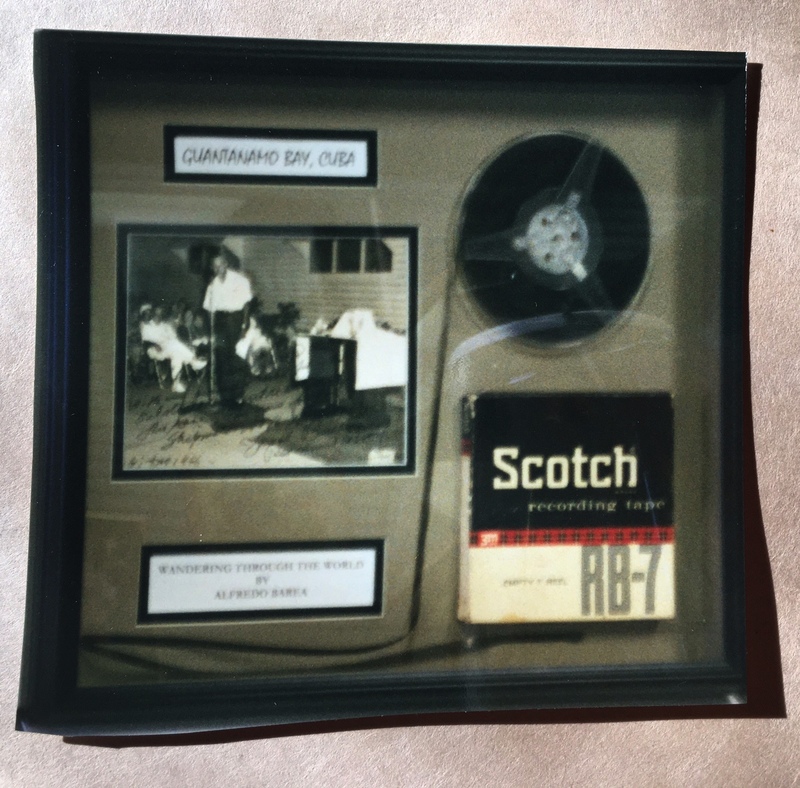 Grandfather had a radio show Guantanamo Bay Cuba. My grandfather’s shadowbox includes botsman whistle, pens from his work at International Harvester, Yellow Cab badge, drivers license, etc. Grandma and Grandpa’s 50th wedding anniversary box. This wedding box is 20×16. It includes invitation, napkin, unity candle, cake top, flowers marriage license . Customer brought in collection of gloves purses and lace doilies. She wanted to give one to each of the descendants. These are what we came up with for her. 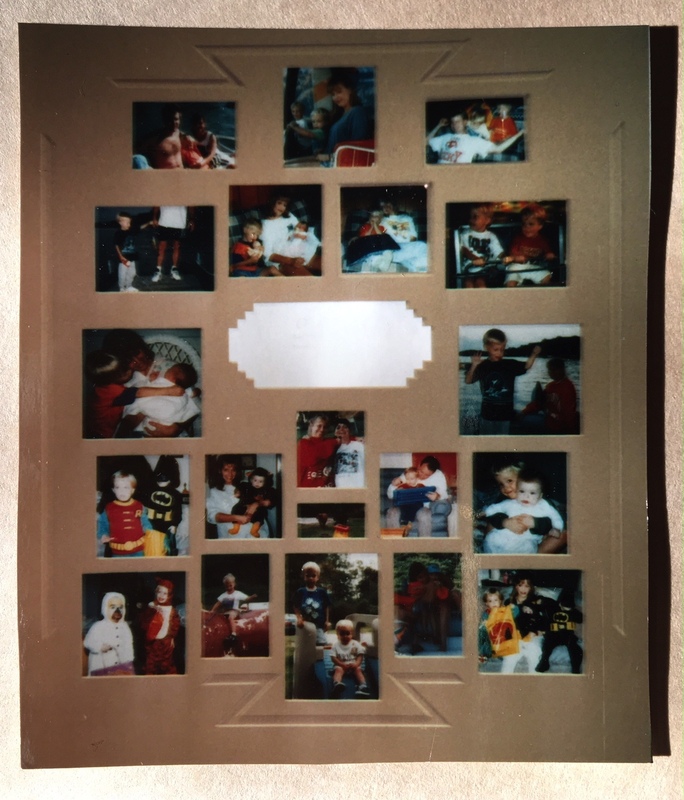 Various family photos brought together in one frame unique special cuts make it a one of a kind. Out of a shoebox into a shadow box. First haircut, wrist bands from hospital birth certificate and footprints. 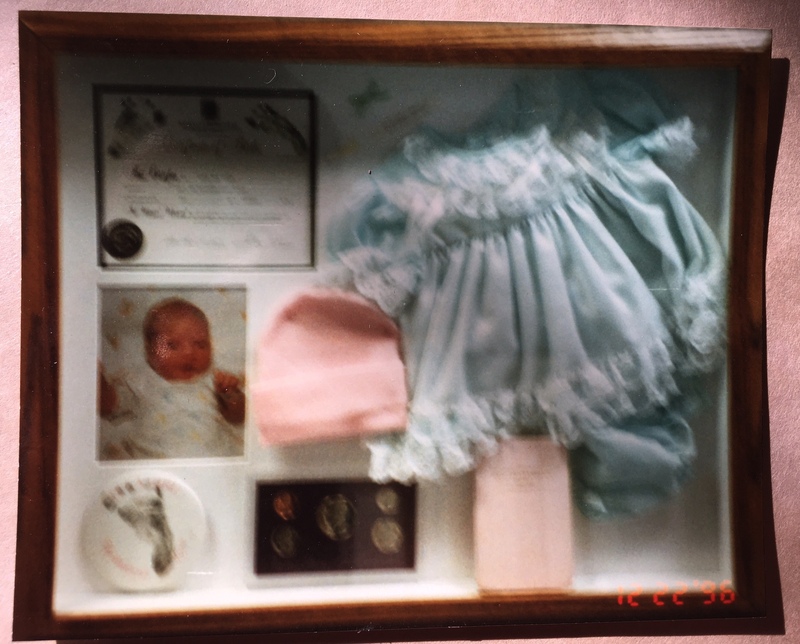 Outfit baby is wearing, picture, special teddy bear, gift from dad. Year of birth, coin collection and Godparents baptismal candle. After being on Louisville Tonight Live and in Business First magazine I got a lot of shadow box request.